I first became aware of Dry Soda when they were a young company somewhere late in 2005 or 2006. They have a great concept of creating non-sweet (hence “dry”) sodas that appeal to an adult audience, yet do not rule out kid-appeal. The sodas are clean and refreshing. 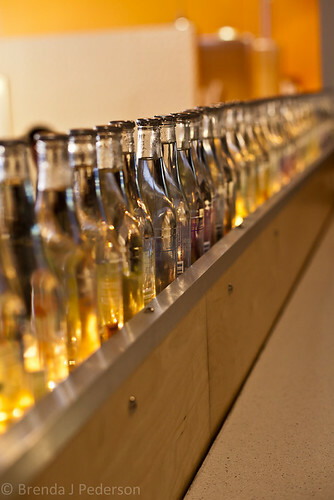 Dry Sodas are nice alternatives for non-drinking friends and are also good as mixers. Love that versatility! As I’ve followed the company over the years I’ve also noticed their great community support. 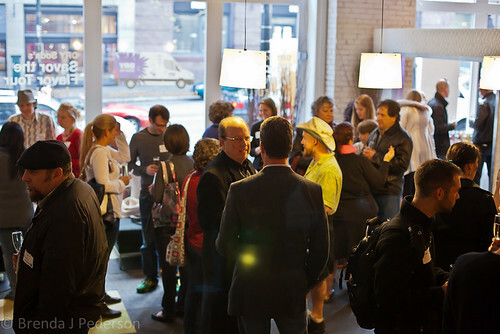 They contribute sodas to one of my favorite organizations, Farestart; I’ve enjoyed their sodas at culinary events around town; and I often see thank-yous from organizations where Dry Soda provided beverages for an event. 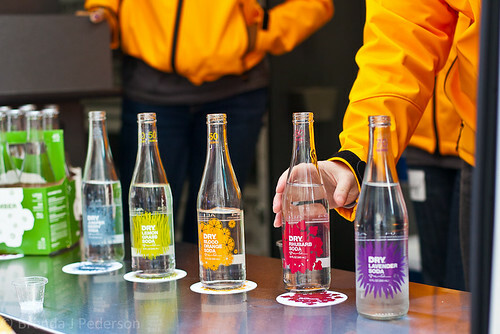 If you haven’t had the opportunity to try Dry they are now going to make it easy for you to test taste their beverages. 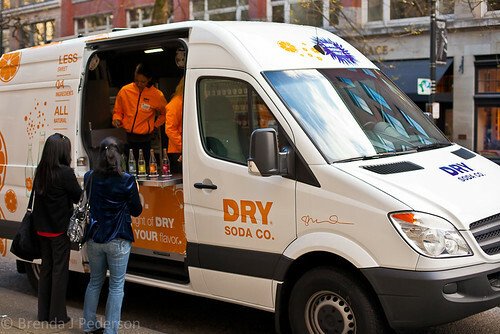 I recently attended the kick-off party for the Dry Soda Co: Savor the Flavor Tour*, a traveling van that will be handing out samples at stores, neighborhood events and festivals. The current tour plan includes stops in the Northwest but more areas may be added later. You can find the latest tour information on their Facebook Event page. Today they will be in Bellingham, tomorrow in Bellevue and later this week there are stops in Tacoma and Seattle. They are also working on an app for iPhone and Android that will be available sometime this summer that can help you track the van, among other things. Even if you can’t find a Savor the Tour stop near you, I recommend you find a local retail outlet, or just order a 12 or 24-pack from their online shop. The flavors are refreshing and inspired. The current flavor line-up includes: Cucumber; Vanilla Bean; Juniper Berry; Lavender; Lemongrass; Blood Orange; and Rhubarb. I enjoy all the flavors but am a big fan of Cucumber, Vanilla Bean and Rhubarb. With summer (hopefully!) on its way cucumber is going to be very popular at my house. *This free event was announced on their Facebook and Twitter pages and was open to anyone who RSVPed.